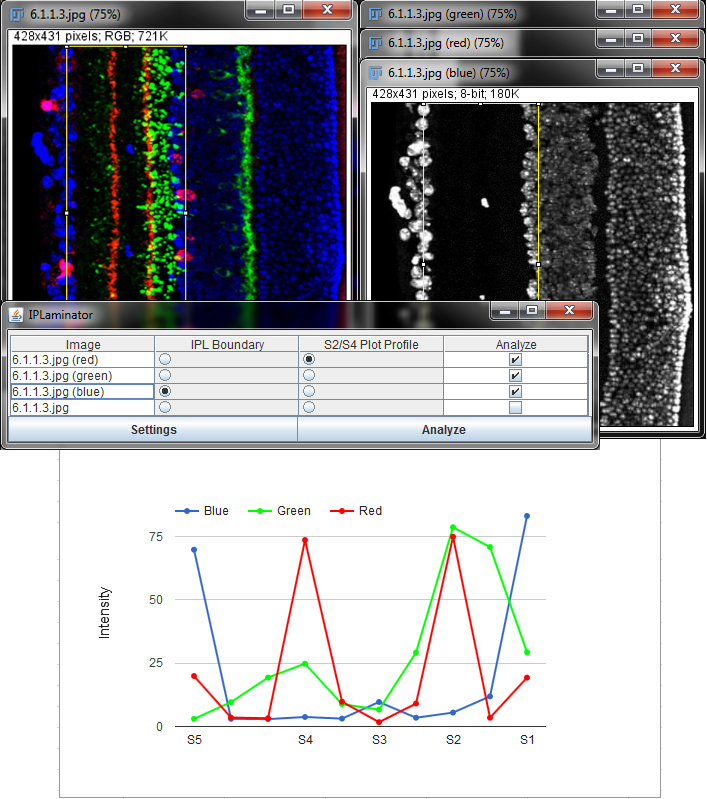 This plugin is designed to allow easy measurement and analysis of neuronal layers in the retina. Data can be exported into a space delimited text file which can then easily be imported into excel or other spreadsheet software for further analysis. This plugin is Free Software (also known as Open Source software) distributed under the GNU General Public License, for more info see http://www.gnu.org/licenses/. Download the IPLaminator_.py file here. To install the plugin paste it into the plugins folder in the FIJI home directory and restart FIJI. After the plugin is installed it can be run from "Plugins > IPLaminator" in the FIJI top menu. The below tutorials should help you begin analyzing and quantifying neuronal lamination using this plugin. Full step by step instructions can be found here. An example retina image which you can use to test the program with can be found here (right click, Save Link As...).